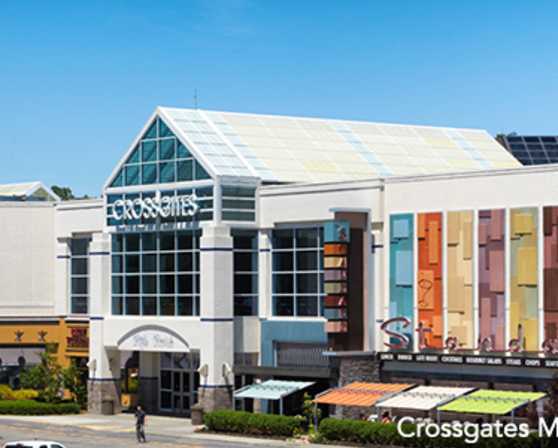 ABOUT CROSSGATES MALL More than just shopping– Crossgates Mall is the largest shopping, dining and entertainment destination in New York’s Capital Region. DINING Crossgates Mall offers dining options to suit any taste, including 10 sit-down restaurants, a food court, fast casual eateries and snacks. ENTERTAINMENT & NIGHTLIFE Crossgates Mall offers seven different entertainment experiences providing something for every age, kids and adults alike. Bowl your heart out, play the newest video arcade games, see an IMAX movie, laugh ‘til it hurts or take the kids down their favorite colorful indoor slide. It’s a full day of fun and excitement for all ages. And for the nightlife? Get your game, dance or laugh on. Every. Single. Night. The choice is yours.